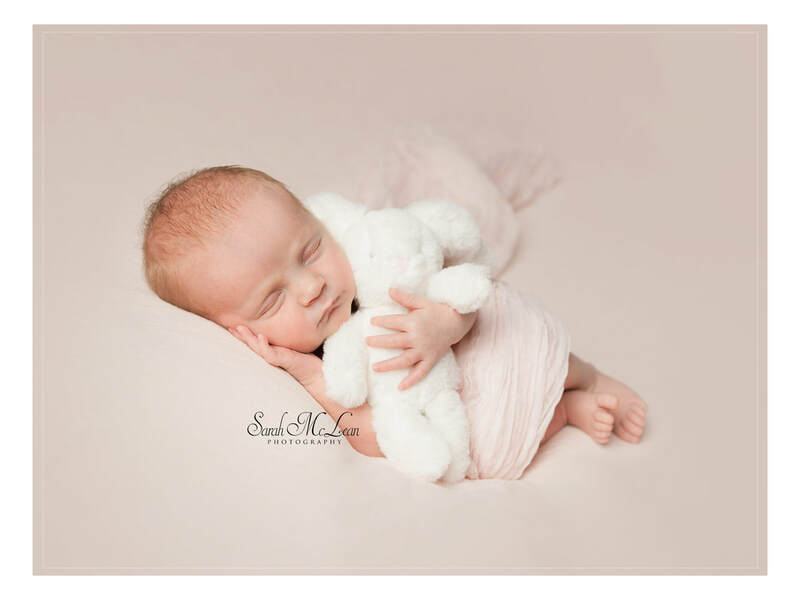 Q: I see that you book up in advance, when should I book my Newborn Session? A: You can book your newborn session any time from your 12 week scan. Most parents advance book so they are guaranteed a spot. 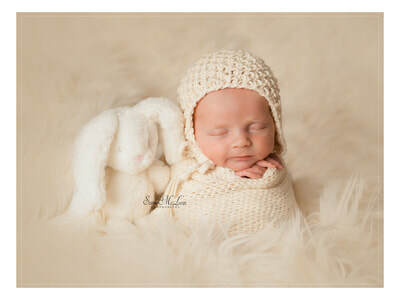 I only take a limited number of newborn bookings per month so my diary can have the flexibility for early or late arrivals. Q: How will I know what date my newborn photo session will be on? I don't know when my baby will arrive. A: I pencil your due date in my diary so I have an idea when you baby will arrive. As babies rarely arrive on their due dates, I only accept a limited number of babies per month. This accommodates early and late arrivals. All you have to do is contact me with your happy news that he/she is here so we can schedule the actual session date. 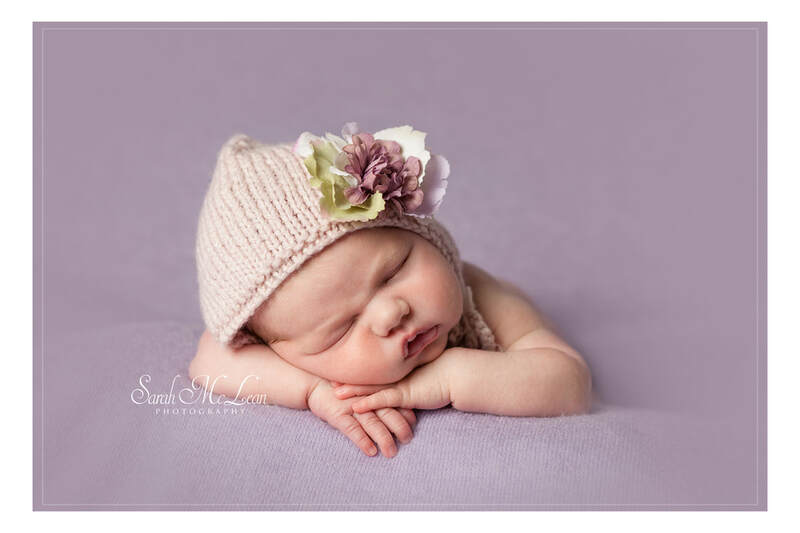 Q: When is the best time to photograph my newborn? A: Newborns are best to be photographed between 5-21 days from birth, whilst they are still very curly for those heart melting womb like poses. 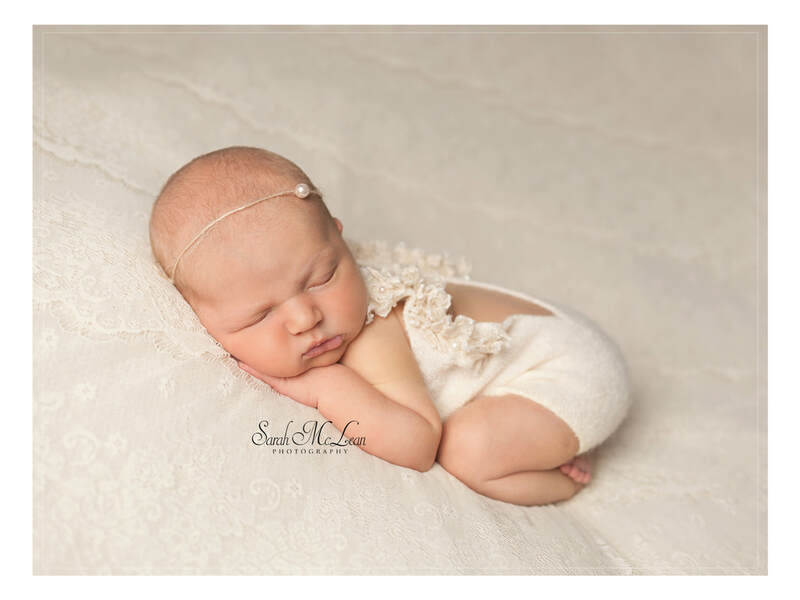 If there is a reason we can't photograph your baby in this time - don't worry, I will still capture beautiful portraits of your baby, and as the session is completely baby led, I will follow their lead during the posing. Q How Long is a newborn session? what do I expect? A: Newborn sessions can last anywhere between 2-4 hours. I handle and sooth your baby, unless he/she requires feeding - please feel free to relax, catch up on a book or just enjoy your session - take a bit of 'you' time. Q Do you provide the props? A: All of the blankets, wraps, buckets and baby head gear is available in the studio. Please bring along a 'special' item if you wish, or if you have a certain theme or colour palette in mind so we can source items and props for your session. Q: What happens if my baby won't 'perform' or 'behave' on the day? 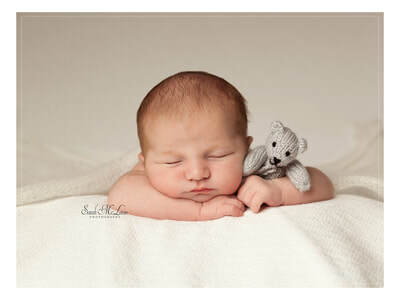 A: Our newborn sessions are very relaxed and baby led. Our studio is cosy and comfortable so you are all as relaxed as possible during your session. Each baby session is different from the next, and some babies require more cuddles and feeds than other's. If your baby for what ever reason is showing signs of not settling then I will decide to re-schedule your session for another day - this rarely happens, and if it does - keeping your baby happy is the main priority. Q: Do you take family pictures with my baby? A: Yes, of course I do - these are the most precious pictures I capture. My studio is big enough for immediate family to have pictures with baby and their siblings. If you wish to bring along a fur baby please arrange this when booking your session. 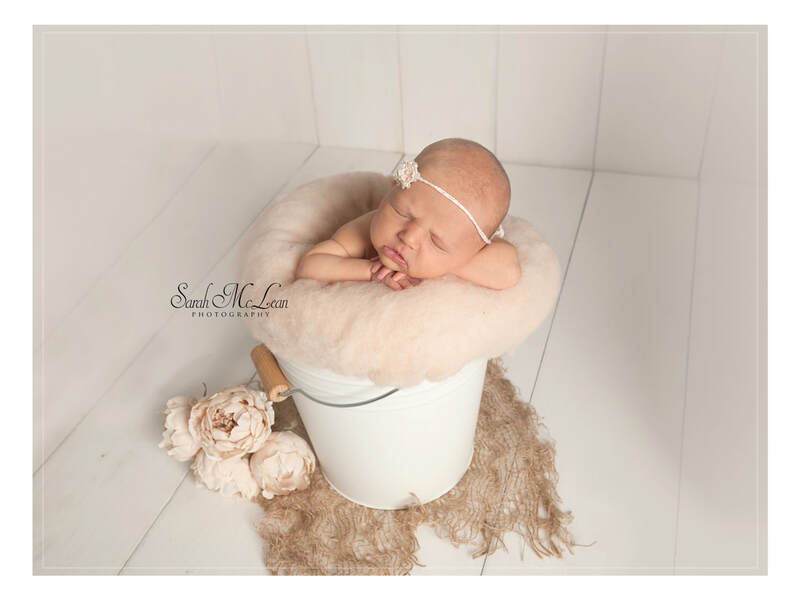 The family pictures are my favourite part of your newborn shoot, and unlike some other photography studios, parent/sibling set ups are included in your session fee at no additional cost. Q: What happens if my baby soils the props? A: Don't worry - accidents are expected, especially when your baby is just in 'skin' for their shoot. They won't be the first, and certainly not the last. Q: My baby is already here, can I still book a Newborn session? A: If your baby is already here, please phone the studio (01772 784499), with the nature of early arrivals - spaces can open up. Q: Are there photo's included in the session fee? A: There are No photo's included in the session fee. You simply choose the package or products you would like from the Product Guide. You can spend as little or as much as you like - there are NO high pressure sales with my sessions. Instead use my helpful knowledge to get the best options for you on showcasing your precious memories.